Sam Evans: With no baseball in this year’s Olympics, international baseball fans are especially fired up for the third instalment of the World Baseball Classic. 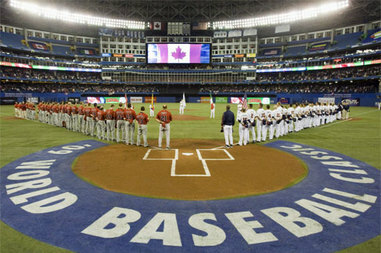 The newly-added Qualifying Tournament for the upcoming edition will bring even more games and countries to the WBC. One of the four qualifying tournaments will be held at Roger Dean Stadium in Jupiter, Florida. The four countries represented will be France, Israel, South Africa, and Spain. Let’s take a look at this Qualifier Group 1 tournament and the rosters starring in it. From there, I will continue to preview the other three qualifier groups in upcoming reports. I didn’t really think it was possible to admire Curtis Granderson any more than I did. But I came home yesterday to a package at my door from Brad, the young man behind The King Of Sports Blog of the FanVsFan Network. 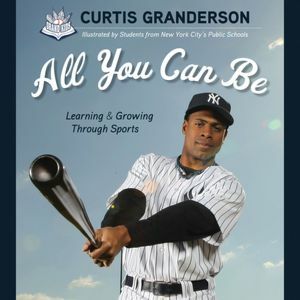 It was Curtis Granderson’s book, “All You Can Be: Learning & Growing Through Sports.” Brad thought I’d enjoy reviewing it. He was right. Needless to say, my infatuation with Curtis Granderson has blossomed even further. “All You Can Be” gets two thumbs up from me. 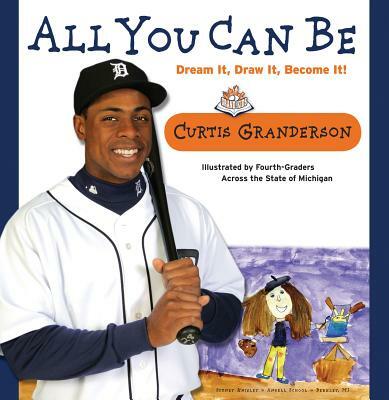 “All You Can Be” is a children’s book written by Curtis Granderson that consists of Granderson’s lessons to the youth. He shares his personal experiences to give the children further reason to listen to his advice. Although I still consider myself a kid, I’m technically an adult, but I still enjoyed this book. I think “All You Can Be” is an inspirational book for people of all ages, even though it was targeted to the youth. The lessons Granderson shares and the values he wants to instill transcend the scope of time. The book is creatively arranged so that each chapter is a different “inning” in the game of valuable lessons. Inning one is “Have Fun,” followed by, “Choose the Right Friends,” “Play with Passion,” “Be a Leader,” “Value Your Family,” “Be Yourself,” “Listen and Learn,” “Think Positive,” with the 9th inning as “Never Be Satisfied.” On each page front- and-back prior to the start of a new chapter, there is a selected piece of artwork from a talented student of a New York City Public School. These pieces represent the students’ interpretations of their corresponding chapters. A section entitled “Extra Innings: Dream Big!” consists of eight more honorable mention works of art. Placed within the text, Granderson includes personal photographs of his youth that complement the theme of the chapter. Along with being beautifully arranged, Granderson’s “All You Can Be” is reader-friendly. The 48-page book is easy to read and moves very quickly. The font is big enough that my Grandma read it with ease (and she too enjoyed it). Granderson highlights key ideas throughout the text in red italic fonts. My favorite part was in the chapter “Be Yourself,” where Granderson recalls being self-conscious about his big “clown feet.” How could people have picked on Curtis Granderson in school? It didn’t bother him for long, though. It just created another lesson for him to share with us. The ideas presented in this book are things kids should hear everywhere: follow the right people, never give up, be confident in yourself, etc. Then why is this book so special? I think it’s because Granderson shares his personal experiences with us. Kids might think, “Yeah, yeah, everyone says that stuff.” But when Curtis Granderson says it, and he proves that it worked for him, we’re all probably more apt to listen. Granderson stressed the fact that although we are all from different backgrounds and are raised in different environments, we all go through the same things in life. That’s why it is important to listen to people, because they’ve been through it, and can help you learn from their experiences. The values may be simple, but they are solid. And they are the values that got Granderson to where he is today – not only in the professional sense, but in the personal sense as well. I love the fact that Curtis Granderson always wants to give back. I always thought he was nice, but after reading “All You Can Be,” I knew it was no façade. Curtis Granderson is a genuinely compassionate man with solid values, and his words in this book come from the heart. The stories he shares are ones I think we all can relate to. I know I wasn’t always as confident in myself as I am today, but as Granderson assured, through the love of those who care for me, I’ve grown to really believe in myself, just as he has. In a way, it’s somewhat comforting to know that even a guy as seemingly-perfect as Curtis Granderson has dealt with the same things as we have. Even though this is a children’s book, I think everyone can learn from it. Granderson teaches the young generation what is important, and reminds us older people that adapting those simple ideas makes us grow to all we can think we be, and then keep on growing. 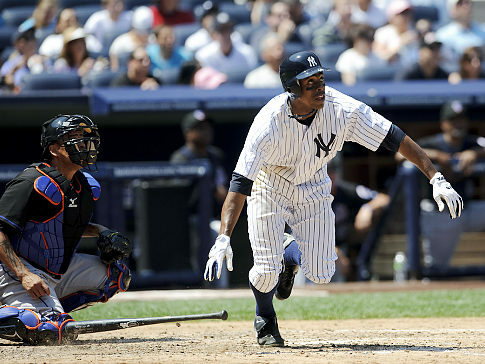 Curtis Granderson’s “All You Can Be” is a simple yet inspirational work. And thank you, Curtis my sweet, for all the great work you do both on and off the diamond. Thank you to Guest Writer Virginia Califano for preparing today’s book review on MLB reports. We highly encourage our readers to post at the bottom of the article any questions and/or comments that you may have for Virginia. 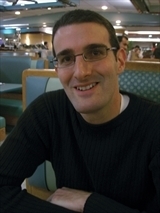 MLB reports – Jonathan Hacohen: I had the opportunity this week to post on our site my review of the Howard Megdal classic baseball book, “The Baseball Talmud”. Today, MLB reports presents my interview with the baseball author himself, Howard Megdal. We discuss many aspects of Howard’s life- from the process of writing “The Baseball Talmud” to a look to his recently released book “Wilpon’s Folly”. I am looking to forward to getting my hands on his third book and learning Howard’s take on the Wilpon family and state of the Mets. If “Wilpon’s Folly” is anything like his previous works, Howard will have another winner on his hands. MLB reports: Welcome back to MLB reports Howard. Thank you for taking the time for us today to talk about your work. It was a pleasure to read the Baseball Talmud, your first book which I recently reviewed on our site. How long did it take you to research and write the book? Howard Megdal: Overall, it took over a year. But I’d been thinking about these questions since middle childhood. MLB reports: What would possess you to pick such an expansive topic for your first ever book? 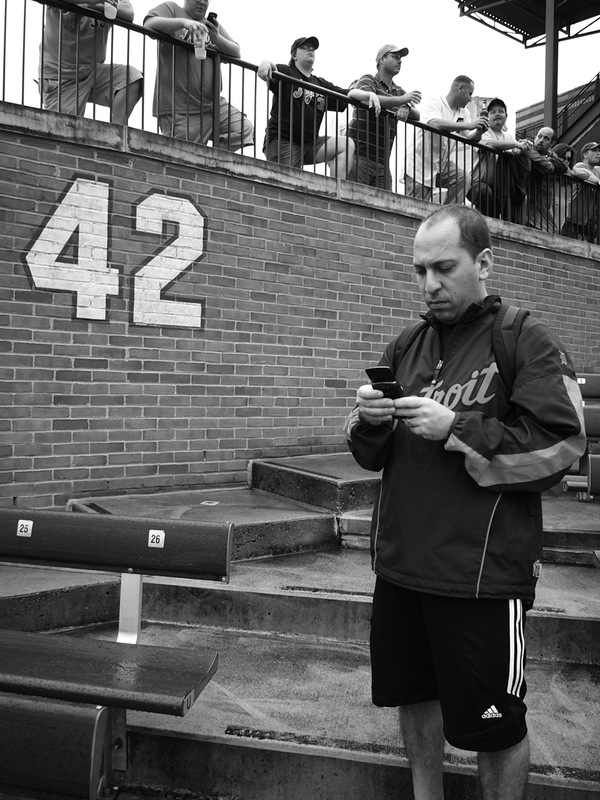 Howard Megdal: Well, it was a perfect marriage of my obsessions with baseball and Jewish culture. And I thought it was a book that needed to be out there, but wasn’t. MLB reports: Were you worried on being typecast as a “Jewish Baseball Writer” by writing the Baseball Talmud? Howard Megdal: Not at all. I knew I had many more books in me on various topics. MLB reports: Favorite Jewish baseball player growing up? 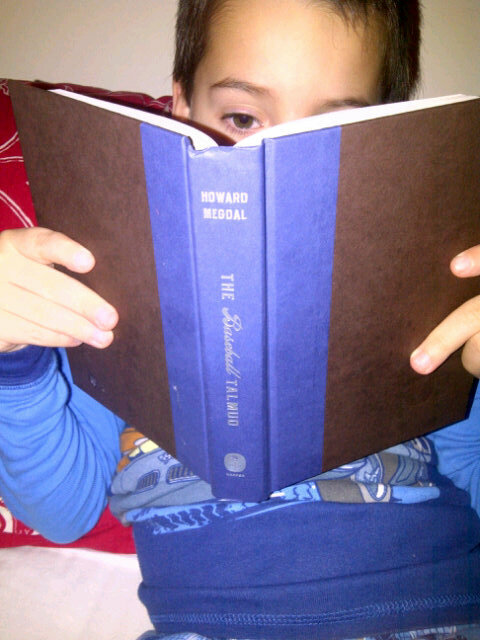 Howard Megdal: That’s hard, because there was a bit of a dearth as I grew up. By high school, definitely Shawn Green. MLB reports: After the book was published, did you have any Jewish players approach you to discuss the book? Howard Megdal: Well, I’d spoken to many of them during the publishing. But one of the most rewarding experiences I had was when the family of Lefty Weinert came to a book signing to discuss his career. 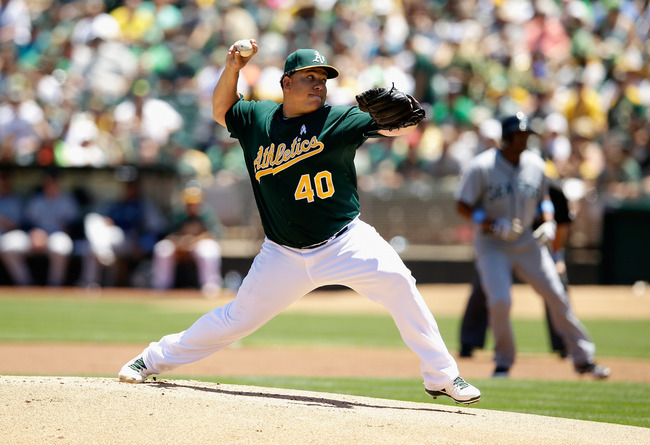 MLB reports: Can we expect a sequel or follow-up to The Baseball Talmud? Howard Megdal: An excellent question- I am certainly open to updating it. 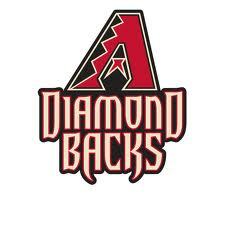 MLB reports: What did you expect The Baseball Talmud would be like when you originally conceived the book and how did it differ once you started to write it? Howard Megdal: To be honest, this one stayed true to my vision of it from the very start. MLB reports: With the release of Wilpon’s Folly- you are slowly becoming a Mets-only writer (after the release of Taking the Field). Fair assessment? Howard Megdal: No, I don’t think so. For the same reasons that I didn’t worry about becoming a Jewish-only writer after Baseball Talmud, I am sure topics will take me in many different directions. 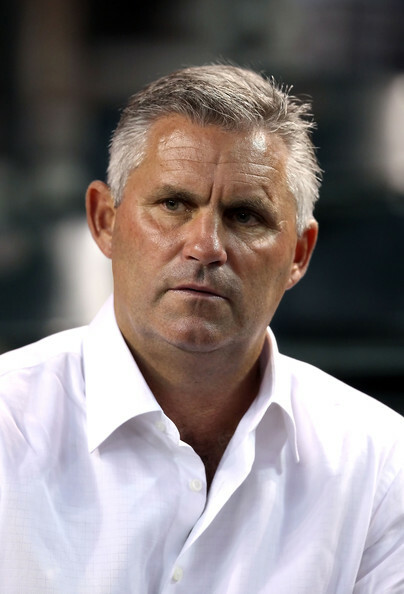 MLB reports: After Taking the Field, why write Wilpon’s Folly now? Did you consider other baseball topics for your third book? Howard Megdal: Well, Bloomsbury approached me, because my reporting was addressing the topic in a broader way than most of the other coverage out there. And I agreed that people needed a broader context for what was happening, and what will happen. 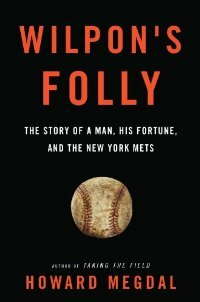 MLB reports: Tell us about Wilpon’s Folly- what kind of book is it and what should readers expect when reading it? Howard Megdal: It’s a story of huge sums being handled by flawed people, and the ramifications reaching far wider than anyone could have anticipated. MLB reports: Have the Mets contacted you in any way to discuss Wilpon’s Folly? Howard Megdal: Obviously, I spoke to them while writing the book. But no, all I’ve heard is through the New York Post. MLB reports: What do you think of the Wilpon family? Howard Megdal: I think they have suffered a public fall that no one should take any pleasure from, and I wonder how hard life is going to get for them. MLB reports: What is the future of the Mets organization? Can the team win with the Wilpons at the helm? Howard Megdal: No, they very likely cannot. The future is bright under different ownership, since it is extremely difficult for a New York baseball team not to be immensely profitable. But as long as ownership needs to divert all funds to simple financial survival, a long-term plan is practically impossible. MLB reports: What is your schedule going to be looking like with the release of the new book? Howard Megdal: Same as before: five columns a week for Capital New York, regular writing for the LoHud Mets Blog, MLB Trade Rumors and other outlets. Freelance pieces whenever inspiration strikes. Spending time with my wife and young daughter. Busy, but good. MLB reports: What is the next project for Howard Megdal? Can we expect a baseball book per year from you? Howard Megdal: An excellent question. Need to talk to my agent and settle on a next book. MLB reports: If you were to look into a crystal ball, where will you be in 5 years from now Howard? Howard Megdal: I hope I’ll be writing, enjoying time with my family, and living essentially as I do now. Wouldn’t want to change a thing. MLB reports: Last question: final thoughts for your fans? Howard Megdal: Thank you so much. I am gratified that people enjoy reading what I write. MLB reports – Jonathan Hacohen: Happy Hanukkah to one and all! With today being the first day of Hanukkah, I thought that it would be very appropriate to include some Jewish baseball on MLB reports. Luckily, I just completed a Jewish-centric baseball book and will be reviewing said book for you today. One of our favorite baseball authors (are there any other kind), Howard Megdal, prepared one of the preeminent Jewish baseball books on the market today. Howard’s first baseball book is titled: “The Baseball Talmud”. 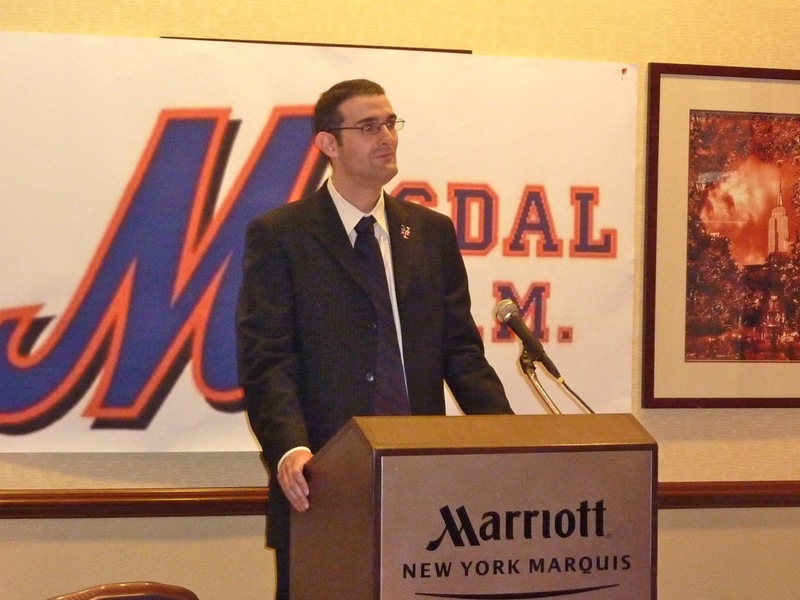 You will recall Megdal’s work from our review of his 2nd effort, “Taking the Field: A Fan’s Quest to Run the Team He Loves.” While “Taking the Field” was centered on Howard’s efforts to campaign to run and fix the New York Mets, “The Baseball Talmud” comes from a very different perspective. “The Baseball Talmud” is essentially a baseball history piece. While some players’ names would be familiar to the readers (depending on your age and baseball knowledge), reading “The Baseball Talmud” will prove to be an educational experience for most baseball fans who pick up to read this book. The Talmud (in case you are not familiar with the term) is a collection of ancient rabbinic writings on Jewish law and tradition. Commentary and interpretations are the key components of the Talmud. Thus it is fitting that Megdal labelled his book “The Baseball Talmud”, as the book is an authoritative interpretation of Jewish baseball with commentary. It is first and foremost a baseball history book- but from a Jewish perspective. I ended up reading Megdal’s books out of order, as “Taking the Field” was released after “The Baseball Talmud”. I was actually pleased about this result, as I came into “The Baseball Talmud” with a more intimate feeling and knowledge about Howard Megdal having completed “Taking the Field”. 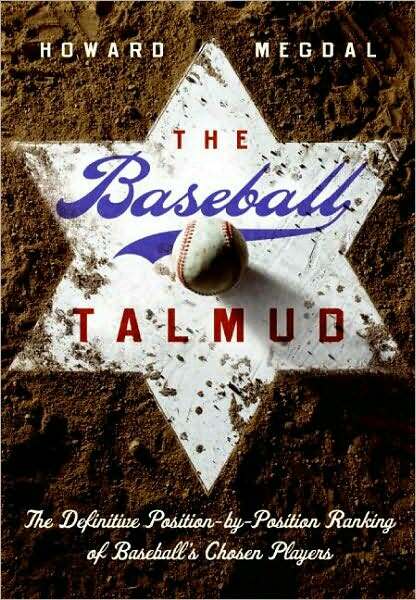 Even without reading “The Baseball Talmud”, I knew that Megdal had a strong feeling and passion for Judaism and baseball. 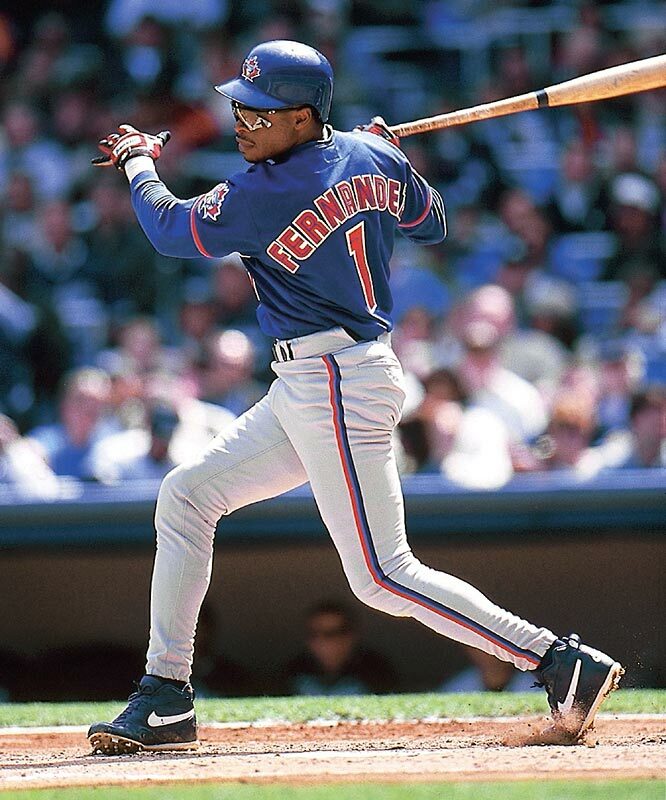 It was evident from “Taking the Field”, as well as reading his articles and interviewing him in the past. Megdal is very proud of being Jewish. Thus his passion and knowledge of Judaism and baseball made him a perfect authority to write “The Baseball Talmud”. Knowing Megdal’s background, experience and personality, made me appreciate reading “The Baseball Talmud” that much more. In my estimation, Megdal pulled off one of the biggest literary miracles in “The Baseball Talmud” (again appropriate given the Hanukkah season). While most baseball fans enjoy talking about the history of the game to great lengths, most would not at first glance be terribly excited to read a “baseball history” book. Baseball books can range in different categories, from autobiographies, instructional, statistical and historical. “The Baseball Talmud” fits mostly into the historical category, with a pinch of statistics spread throughout. Make no mistake, there are many modern players included. From Ryan Braun, Ian Kinsler, Kevin Youkilis, Steve Stone, etc., all the “big” name Jewish players that you know and love are discussed and analyzed. But this book is far from a tribute to Sandy Koufax and Hank Greenberg. While two of the biggest Jewish baseball players of all time, Megdal recaps most (if not all) Jewish players that have ever played the game. Names like Conrad Cardinal, Ed Wineapple, Happy Foreman, Erskine Mayer, Mose Solomon and Jake Pitler are all part of the book. Not only did I learn about how the many Jews who played the game of baseball, I learned a great deal about the history of the game of baseball as a whole. The success of this book though is in Megdal’s writing. “The Baseball Talmud” is very well written with a great deal of history and statistics. But it is done in a very fun and light manner, with excellent analysis. Howard Megdal is a storyteller. One of the best baseball ones that I have ever read. So if you are jumping into “The Baseball Talmud” expecting a straight history and statistics text, think again. This book is built upon the baseball stories and commentary within it. The book is divided into a clean and easy-to-read format. After reviewing the top Jewish baseball players of all time, Megdal then proceeds to list his top Jewish players at each position. The lists are very specific, including all three outfield positions and breaking down right-handed and left-handed starting pitchers and relievers. My favorite section is the all-time Jewish baseball team assembled by Megdal at the end of the book and how his Jewish team would compare to other teams from different eras. On a personal note, I did take a great deal away from this book given my Jewish heritage and background. But regardless of my own religion and culture, I would recommend this book to any baseball fan. Young or old. Novice or expert. To really appreciate the game, it is important to know about the different leagues and teams throughout the years. Players had careers interrupted and shortened due to wars. Before the age of free agency, player movement was very limited and outstanding players were blocked and often left in the minors or on the bench rather than being given an opportunity elsewhere. Such key components of baseball are discussed in Megdal’s book. But again, having Megdal use his superior storytelling abilities in describing the players and their circumstances makes the book a winner. This was a fun read, that had me laughing out loud many times and thinking throughout. For the baseball fan in your life that has everything, I strongly recommend running out to your local bookstore or jumping onto a site like amazon.com and purchasing “The Baseball Talmud”. I can think of many past Hanukkah seasons that I would have enjoyed receiving this book as a gift. It would also make a great stocking stuffer for any baseball fan of any denomination. While it may seem humorous to receive “The Baseball Talmud” on Christmas morning under a tree or in a stocking, it would be well appreciated by all devotees of the game. Baseball fans are always looking for more information and “something different”. Well folks, “The Baseball Talmud” is as about as unique as it gets in the baseball world. I enjoyed reading several of the chapters to my own 6-year old son. If we are going to teach our kids as parents about the game of baseball early, it is important to use the right materials! So Happy Hanukkah, Merry Christmas and an overall Happy Holidays to everyone. I look forward to hearing from everyone after you had a chance to read “The Baseball Talmud” to debate the rankings of the all-time best Jewish players. Creating a forum for baseball discussion and analysis is what a good baseball book will do and makes “The Baseball Talmud” a clear winner.